Selling To Buyers Who Have Been Burned! If analysts are to be believed, then as many as 2 out of 3 IT projects go south (Standish Group 2003). That is they go over budget, fall behind schedule or gets scrapped. So, according to the statistics, then as many as 2 out of 3 buyers will have have been burned by IT projects and vendors that failed to deliver. Caveat emptor or let the buyer beware seems to be the rule in purchasing software and technology. 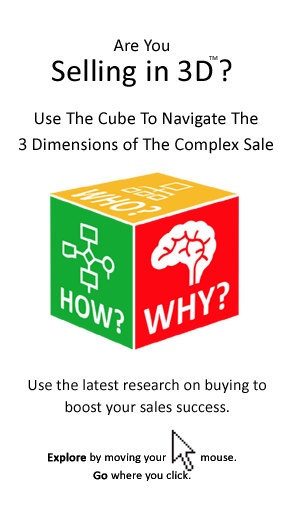 The fact that many corporate buyers experience problems with software purchases has major implications for those of us in sales. But, if you (and your organisation) have embraced the key principles of Software Quality Engineering buyer scepticism can play in your favour. Software Quality Engineering methdologies reduce buyer anxiety and project risk pre sale, while also ensuring successful project delivery post sale. So it is an absolute must for the salesperson who wants satisfied customers and repeat business, as much as commission on the initial order. 1. Guiding the customer to a clearer and more detailed definition of customer requirements and delivery, or implementation, promises. As the project progresses there must be processes in place to prevent this definition from sliding unintentionally. 2. Ensuring that the customer has visibility of key processes and metrics to enable measurement, assessment and control of development. 3. Ensures software is tested in a systematic and scientific manner throughout the development cycle. This ensures the right amount of testing to meet quality standards. 4. Enables developers to identify and tackle potential defects, or over-runs early – when they can be easily rectified. 5. Enables managers to identify and track defects, and most importantly to identify and tackle the root cause of defects through the implementation of step-by-step improvements. 6. Provides an agreed procedure for hand-over, or User Acceptance Testing. 7. Cuts development costs and time-frames by identifying opportunities for the optimisation of development processes. 8. Provides a common language, as well as best practice, tools, templates and processes for use by customers and suppliers, as well as technical and sales/marketing. 9. Enables a more responsive and nimble approach to development, facilitating shorter development cycles and ongoing testing and review. Software Quality Engineering (SQE) providing a set of new tools and techniques to make it easier for companies sell their technology. It was of course developed by engineers to enable quality software and IT to be delivered on time and within budget. 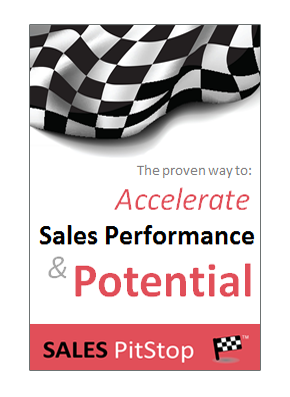 But it has also proven very popular among savvy salespeople as it helps them to directly address those key buyer concerns that can complicate and stall so many technology sales. How much testing does your software require? Well, the answer is it depends. Some organizations spend too much on quality and others too little, those who have made software quality a science apply a risk-based and full-lifecycle approach. That means the right amount of testing is undertaken in a scientific and in a planned manner. It isn’t, as can often be the case, left to the end of the project and undertaken begrudgingly by programmers. application of Total Quality Management (TQM) to the business of software. With increasing competition from low cost economies, software quality engineering is the new basis for success in the software sector. In fact, given the cost base of so many Irish and UK software houses, it is the only option. How do you know if your organization has embraced SQE? The answer is continuous improvement in terms of quality delivery, deadlines and cost. It is the implementation of documented processes and procedures relating to all stages of the development lifecycle. It is also the allocation of responsibilities for the same, generally resulting in a dedicated software quality and testing function. That frees up developers for development, allowing others to specialise in quality and its measurement via testing. Indeed, SEQ has opened up a new and attractive career path for software engineers, with these skills being much in demand at the present. SQE at is best means that software is delivered at regular short intervals (often days and weeks) through a virtuous cycle of definition, development and testing. That replaces the traditional waterfall approach involving rigid product definition and a far off ‘winner takes all’ deadline for delivery and testing. The increasingly popular agile approach to software development combines iteration with control to respond to business needs. Because Software Quality Engineering processes and tools are highly practical and generally inexpensive they represent powerful sales techniques.